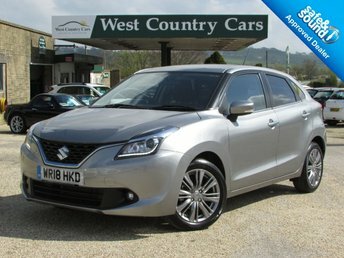 For a supermini that's affordable to run, practical to own and enjoyable to drive, be sure to take a look at one of the used Suzuki Baleno models for sale in Yeovil at West Country Cars Yeovil Ltd. We stock a wide selection of vehicles at our site in Yeovil and whether you're in the market for a compact vehicle like the Baleno or a spacious and rugged SUV, we'll be able to help you find the perfect model to suit your budget. Every used Suzuki we sell is put through a rigorous inspection process before arriving on the forecourt and so you'll be able to buy with complete confidence. Discover more by contacting a member of the team at West Country Cars Yeovil Ltd today.